Sarah Maples has enjoyed Northern Nevada since she was a young teenager. With the loving support of her family, she has accomplished her goals of becoming a family medicine physician and is ready to make a positive difference in the health care of Carson City residents. With a special appreciation for cuisine and travel, Sarah spends her spare time cooking a variety of different ethnic foods. She has visited many international places, like Iceland and India, and has learned, first-hand, of unique and healthy ingredients that she enjoys using in her specialty dishes. Balancing her love for food with an active lifestyle, like hiking, running, and exercise, Sarah represents living life to its fullest and with energy to spare. 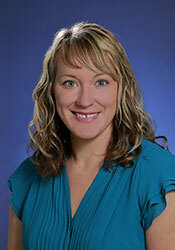 Dr. Sarah Maples is now taking new patients at Carson Medical Group.